It's a phenomenon similar to what's happening in the U.S.
As Donald Trump steadily gains in public approval — by his intelligent appointments of well-qualified women and non-Caucasian people to key positions — and debunks the entire Clinton-Obama campaign against him of "racist" and "sexist" defamation, recollection of that spurious campaign evaporates. His retrieval of a thousand Carrier jobs for Indiana left his opponents silent, except for the instantly camp figure of the old socialist kibbutznik Bernie Sanders, blubbering about betrayal of capitalist values. Trump is acting and speaking like a president, and former conservative enemies who were ostentatiously hostile, such as Daniel Henninger of the Wall Street Journal, write admiringly of the smooth and professional performance of the transition team that is bringing forward excellent candidates for key posts. The Never Trump conservatives are not flocking to the confessional to admit error and do penance and seek forgiveness, but they are at least lighting votive candles for the winners who drove over them. The inability of the media to recall their own errors, much less their ideological betrayals, is notorious, and the penalty for it is in the immeasurable realm of fallen credibility. The fallout of the Trump victory is not the triumph of reactionaries, airheads, skinheads, and "deplorables," but the assumption of power by qualified people who have advocated and are preparing to implement the policies that Trump enunciated in a vocabulary that was crude for the tastes of some, but resonated adequately clearly to attract enough support to crush the entire political class of the last 30 years: Bushes, Clintons, Obamas, and their tame media, paid pollsters, and swarms of lobbyists and Beltway parasites. In the West as a whole, the early repercussions have not been the much-feared elevation of know-nothing xenophobes, but the parallel reassertion of sane individualism. In the United Kingdom, the government of Theresa May is entirely absorbed in waiting to see whether Germany and France knock over the flimsy scaffolding in Brussels from the summit of which the so-called president of the European Union, the palsied cipher Jean-Claude Juncker, has told Trump he must spend the next two years studying Europe, and require Europe to make Britain a serious offer to renegotiate entry into the common market while staying clear of the federal political union. This was what Britain's greatest leader since Churchill, Margaret Thatcher, called for, and what her countrymen now seek, though her own party knifed her in the back for being, as she was in much else, ahead of her time. The Opposition Labour and Liberal Democratic parties have been smashed and are led by cretins, but the governing Conservatives have a majority of supporters who wish to leave Europe, and a majority of members of Parliament who wish to remain. Mrs. May is waiting upon France and Germany to make British departure from Europe uncontroversial or replace the piffle Britain has rejected from Brussels with an offer worthy of serious consideration. The French and Germans are in the run-up to general elections in the spring of 2017. In France, the widespread predictions that Marine Le Pen's National Front, a petit-bourgeois party of political incorrectness and skepticism about elites, immigration, multinationalism, and outright hostility to the more assertive of France's Muslim community of nearly 5 million (about 8 percent of the total French population), would move to center stage and threaten to win the election, have faded. 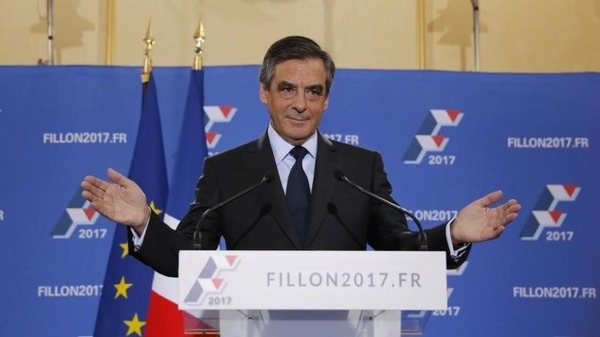 The Gaullists have sacked their two leading candidates — the raddled servitor of decades of mediocrity, Alain Juppé, and the erratic former president, Nicolas Sarkozy — and delivered their nomination to François Fillon, an Anglophile (with a British wife) and a talented former prime minister and minister of science and education. The incumbent, Socialist François Hollande, whose presence as chief of state is a convincing demonstration of the unfathomable perversity of the French, so (in Trumpian parlance) "unpresidential" is he, did the decent thing and bowed out of the race with his approval rating at an astonishing 4 percent. Thus, the Left, which won three of the ten elections in the history of the Fifth Republic (since 1958), is finished and the contest is between the Gaullists, the legitimate continuators of the tradition of the founder of the Free French in World War II and of the Fifth Republic, Charles de Gaulle, and a more rabble-rousing, populist, blue-collar version of conservatism. Fillon calls himself "the right of the right," dismissing Le Pen's demagogy (which has been cleaned up quite a bit from where it was five years ago). In trashing Juppé and Sarkozy as Hollande fled to his ample pension, Fillon has already done the equivalent of routing the Bushes, Clintons, and Obamas. He is left with a rough version of Cruzism to deal with and is now the odds-on favorite to win. In France, the choice is no longer between the Gaullists and the Left; now it is between the Gaullists and the populist Right. This suddenly shifts France to the right of the United States in its general political orientation; this, coupled to the demolition of the British Labour party and its reversion to the pre–Tony Blair far Left, indicates a move in Europe toward the responsible Right, which is in fact the territory Trump is occupying, having stolen the clothes of the traditional Republicans by attacking so strenuously on trade and immigration. All three countries have ended the Tweedledee and Tweedledum of the post-Reagan, post-Thatcher center-Left. Germany is a greater power than France or Great Britain, but traditionally has less influence in Europe and elsewhere because it is less politically and intellectually respectable and has not exercised the overseas influence of the French and British. There too, as in Britain, the opposition is fragmenting, and although Chancellor Angela Merkel's Christian Democrats have slipped under the pressure of the acceptance of over a million destitute immigrants from the Middle East and Africa, she appears almost unbeatable, with about 35 percent of the vote in a race where she leads her SDP left-of-center opponents by 15 points and there are four other parties, two of the Right and two of the Left, with between 5 and 15 percent of the vote. She may have to patch in two other parties to govern, but she seems set to win a fourth term, and come even with Helmut Kohl and surpass the founder of the Federal Republic, Konrad Adenauer, as the longest-serving German chancellor since Bismarck (who did not operate in a democracy and never really won an election). Of the principal Atlantic democracies, only Italy, whose system has never been stable or commanded general respect, is still wallowing in uncertainty. Its proposed constitutional reforms were decisively rejected and the country seems likely to be substantially influenced by Beppe Grillo's absurdist comic-opera Five Star opposition (25 percent), confounding Silvio Berlusconi's imperishable center-Right nonsense (30 percent) and the just defeated center-Left (30 percent), both crumbling broad-tent coalitions unable to govern. The old Italian Communist party, which in 1948 gained almost a third of the vote, with Pius XII calling a vote for it an act of self-excommunication, and came in at around 34 percent in 1976, when it masqueraded as quasi-democratic, is not showing signs of revival. No one in Europe — apart from a scattering of proto-fascists impressed by Mussolini in the Twenties — has looked to Italy for political leadership since the collapse of the Roman Empire in the fifth century. It is an important country, but not one capable of leading Europe. In Britain and France and Germany, the Left is weak and fragmented and the moderate Right is ascendant and likely to remain so. In the United States, the moderate Right under Donald Trump seized all the votes of the populist Right and the Democrats are severely split between the Clinton moderate Left and the Sanders far Left. Even in ultra-stable Canada, where the only perturbations in 50 years have come from the now-extinct volcano of French-Canadian separatism, the center-Left has defeated the center-Right, but in doing so has crushed the genuine Left to powder. There are some concerns about a Right with immoderate tendencies in Poland, Spain, and Hungary, where they have a long and often unedifying history, though it is too early for storm warnings. But in North America and the three great West European powers, the moderate Center and Right are solid, sensible, and about to be secure in power. The fear-mongering about Trump was bunk, and the echoes of it that held that Le Pen, the UK Independence party, and the German Alternative party would all crest together and imperil democracy were unutterable nonsense. If anything is likely to be clear in the elections of 2015 to 2017, it is that the answer to William Butler Yeats's famous question is yes, the center will hold, and, in fact, it appears impregnable.